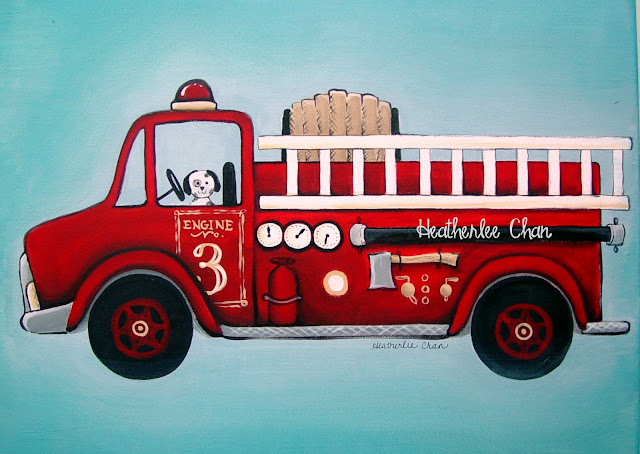 I painted Calvin a fire truck for his room yesterday. My dad is a retired fireman, so obviously Calvin's got a love for big red trucks that have sirens and puppy dogs! We got him this Big Boy bed around February when we found out we were having another baby. He LOVES being in his fire truck bed!